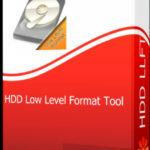 Macrorit Disk Scanner Free Download Latest Version for Windows. It is full offline installer standalone setup of Macrorit Disk Scanner 4.3.0. 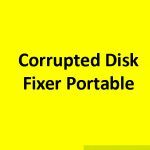 Macrorit Disk Scanner is an impressive application which will let you determine whether your hard drive security as well as integrity is at risk due to bad sectors so that you can take some appropriate actions. You can also download WinUtilities Professional Edition. Macrorit Disk Scanner has been equipped with a very simple and easy to use interface. It displays the basic information about the hard disk drive and its vast majority is dedicated to exhibiting the results of the scan scan using the color codes, the red color depicts the damaged sectors. When it comes to functionality you need to select the hard rive which you need to scan and then press the Start Now button. The tool will display the results in real time and you can close all of the running applications if you need the scan to be completed quickly. It also provides you with a log scan as a plain text file that can be accessed from the installation directory. Macrorit Disk Scanner supports loads of drives so you can employ it to determine the overall health condition of your drives. The devices which are supported includes iPods, SD micro cards, USB Flash drives, FireWire HDD, SSD, USB HDDs, Zip drives and Hardware RAIDs. All in all Macrorit Disk Scanner is an imposing application which can be used for determining the security and integrity of your hard disk. You can also download Crypticdisk Pro. Below are some noticeable features which you’ll experience after Macrorit Disk Scanner free download. An impressive application which will let you determine whether your hard drive security as well as integrity is at risk due to bad sectors. Equipped with a very simple and easy to use interface. Displays the basic information about the hard disk drive. Provides you with a log scan as a plain text file that can be accessed from the installation directory. 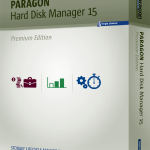 Supports loads of drives so you can employ it to determine the overall health condition of your drives. The devices which are supported includes iPods, SD micro cards, USB Flash drives, FireWire HDD, SSD, USB HDDs, Zip drives and Hardware RAIDs. 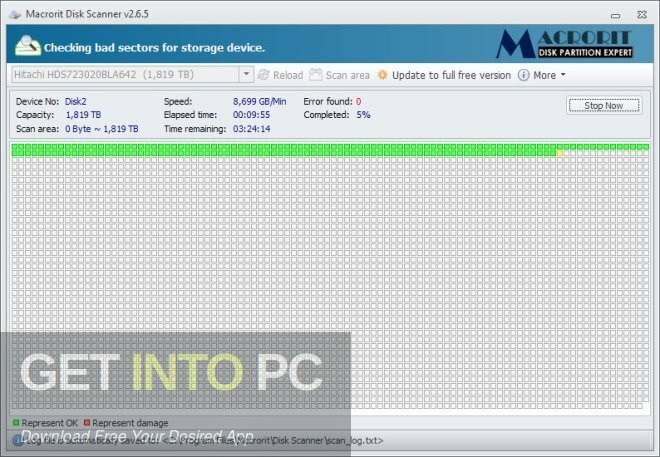 Before you start Macrorit Disk Scanner free download, make sure your PC meets minimum system requirements. 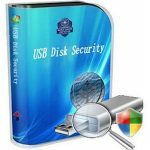 Click on below button to start Macrorit Disk Scanner Free Download. This is complete offline installer and standalone setup for Macrorit Disk Scanner. This would be compatible with both 32 bit and 64 bit windows.